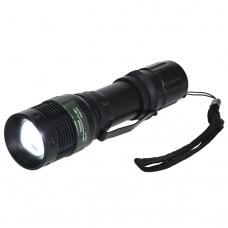 This Portwest torch uses CREE technology, which is 10 times brighter that the standard L.E.D bulbs. also has telescopic zoom function ranging from flood to spotlight settings. with a hand strap and belt clip. You can even use the rubber button whilst wearing gloves. and 3 triple A batteries included.